Well, hello there! It's the first day of August--that's kind of impossible, right? 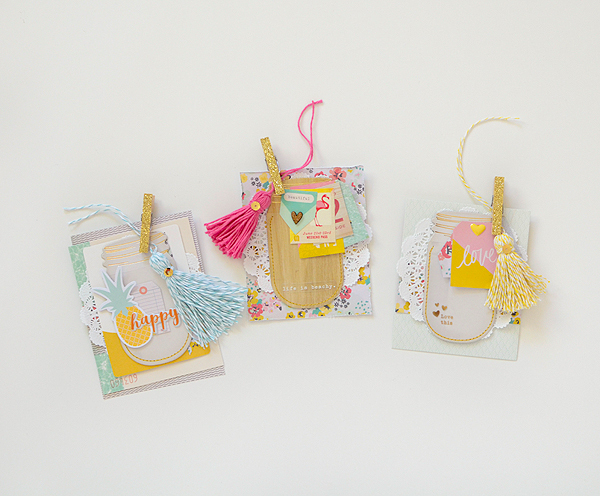 A new month means new kits from Gossamer Blue, which is always good news! 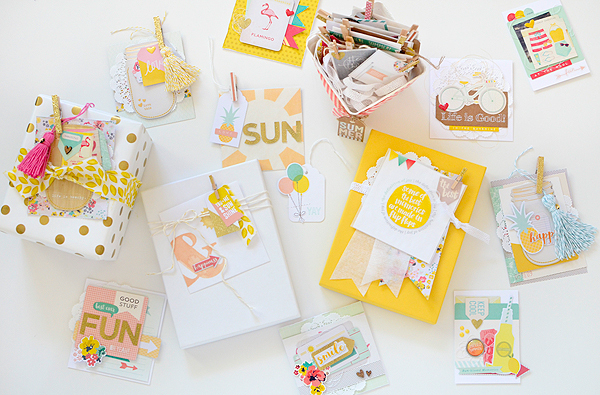 The August kits celebrate everything summer and I liked them so much, I got a little carried away making projects! I'll be sharing them all over the course of the month, starting with my first project: a set of tags featuring Mason Jar Pockets. 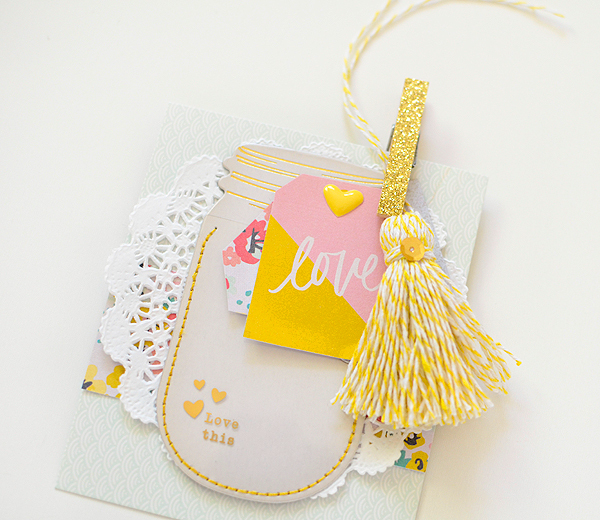 You can find the pockets in the Bits & Pieces kit (along with some other must-haves!). This was actually the last project I made and kind of an afterthought, just using up some leftover scraps on my desk. It's ended up being one of my favorite projects for the month, though! 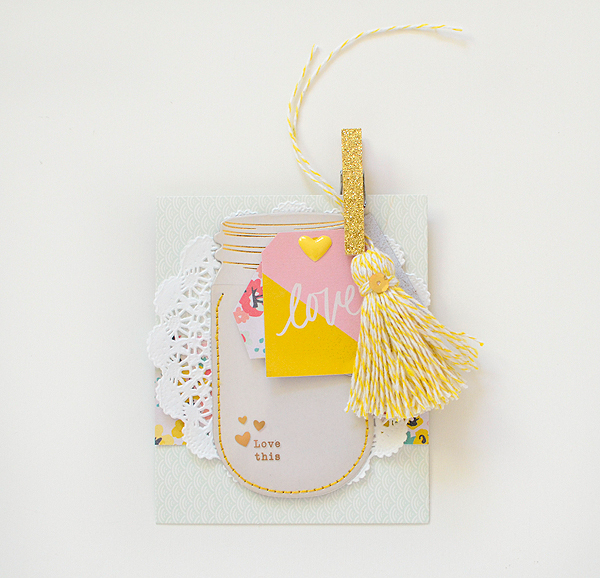 To create the base for two of the tags, I used packaging--this one uses the card backing that the Mason Jar Pockets came with (it's cream with a strip of aqua 'water'). 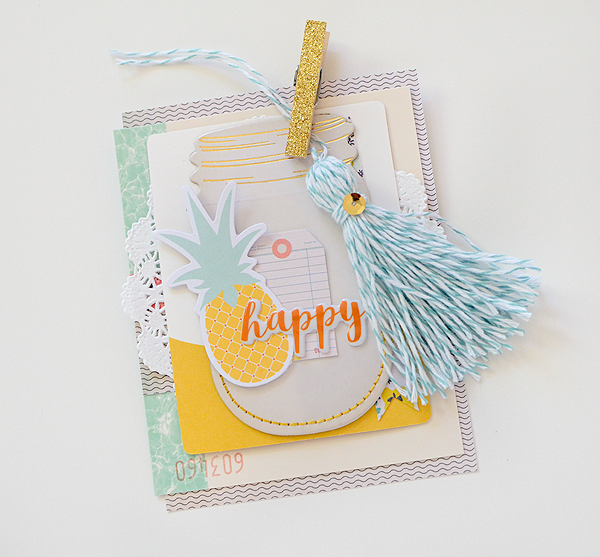 When you have the heavier elements like the chipboard mason jar and tassel, it's nice to have something rigid behind them. 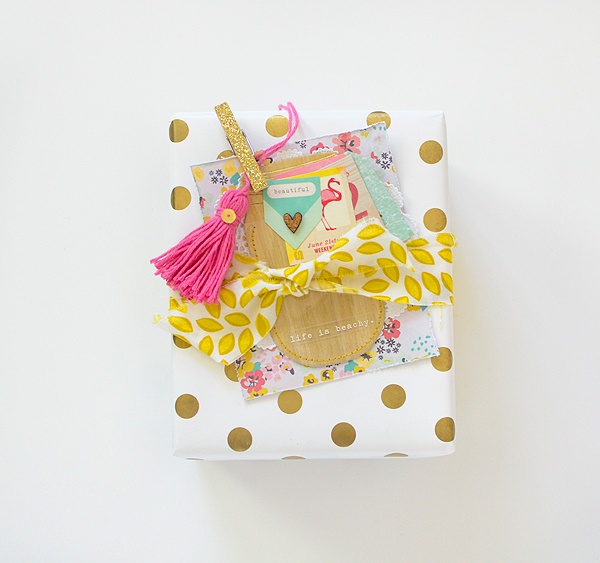 So many companies now are using pretty package designs so I always try to utilize it. 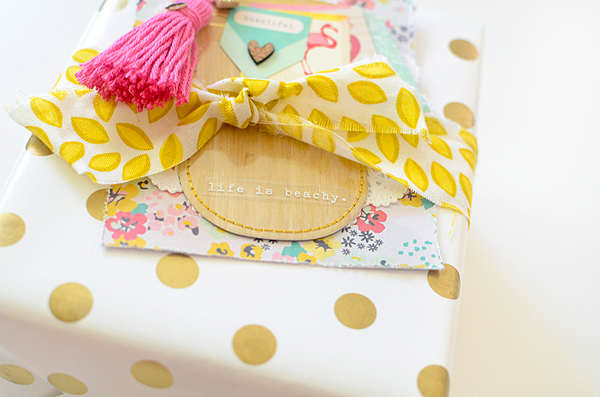 This tag features packaging from the pack of Fancy Pants die cuts that are found in the Life Pages Themed Add-On. It's a soft blue fan design and it's subtle so it's not overwhelming when paired with the busy floral pattern and bright pink and yellow elements. I've definitely jumped on the tassel bandwagon and I'm not sorry! Texturally, I'm in love with what they add to a composition. 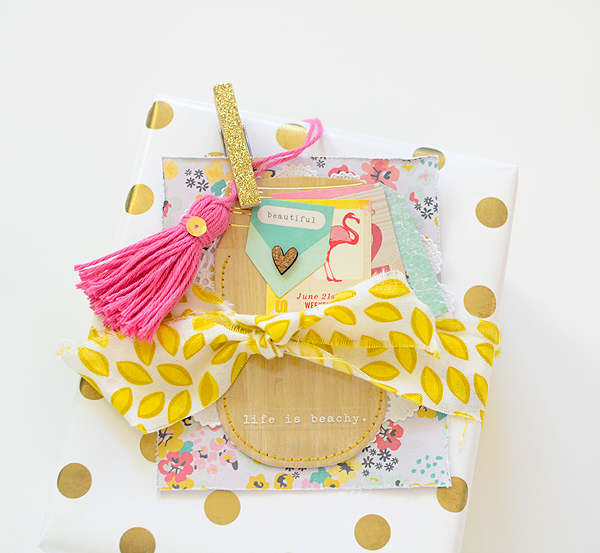 They're not too difficult nor expensive to make, either, yet they give tags and gifts such a pretty look without much effort. Be sure to check out the kit reveal and gallery on the GB site today! There is so much to see over there and I don't want to enable you or anything, but you probably want to make a big cup of coffee and browse for awhile. It's a summer Saturday--relax! LOVE your work...so filled with lovely details.